Jennifer L. Taiwo | Littler Mendelson P.C. 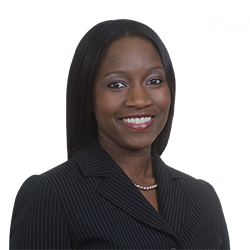 Jennifer L. Taiwo represents employers in all of areas of employment litigation. Her practice focuses on representing employers in federal and state court and before administrative agencies in litigation involving claims of discrimination, harassment, retaliation, independent contractor misclassification, breach of contract, and breaches of noncompetition and nonsolicitation agreements. Jennifer’s experience spans the litigation process from conducting early litigation risk assessments to negotiating favorable settlements, trials, and arguing appeals. Jennifer also counsels employers on a range of employment issues including compliance with federal, state, and local employment laws; personnel policies, procedures, and handbooks; and workplace privacy matters. Prior to joining Littler, Jennifer was an associate at an international law firm where her practice focused on complex commercial and product liability litigation and government investigations. She also served as law clerk to the Hon. Petrese B. Tucker in the U.S. District Court for the Eastern District of Pennsylvania. During law school, Jennifer was an executive board member of the Moot Court Honor Society and a regional champion of the American Association for Justice Trial Advocacy Competition. She was also the notes and comments editor of the Brooklyn Journal of Corporate, Financial and Commercial Law.